Food brings people together, fuels adventures and helps people experience different places in a unique way. Cle Elum has a variety of unique restaurants for people to visit, no matter what meal you are craving. And with March being Nutrition Month, there are plenty of restaurants that offer light and healthy meals so you don't have to feel guilty after eating. 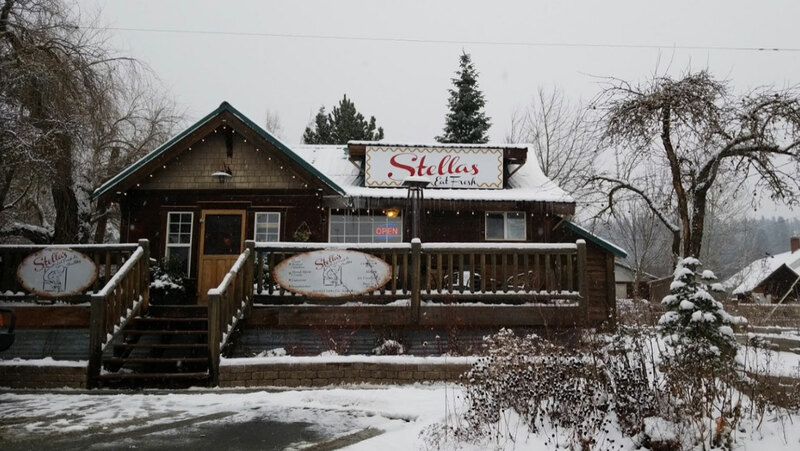 If you are looking for a spot to grab a cup of coffee or maybe a bite to eat, why not check out Stella's? Located on 1st Street in Cle Elum this café boasts great service, free wi-fi, and healthy, fresh food. They were even placed on the list of the top 20 places to get a sandwich in Washington State. Stella's is a good place to stop if you are like me and have a bunch of food allergies, everything there is made from scratch and they are willing to work with different allergies. They have dairy free, gluten free, and vegan options for food which is great because most of the time I get stuck eating side dishes at other restaurants. If you have other allergies, reach out to them ahead of time if possible so they know how to accommodate you. For those with a sweet tooth Stella's is a stop you will want to make. There are baked goods for sale, homemade caramels and a homemade chocolate sauce that has fans and new customers raving. The Cottage Café offers a spot to eat even more breakfast. There is an all-day breakfast menu with omelets, platters, and some unique items that are favorites of their regulars. Customers praise their French toast, chicken fried steak and the corned beef hash -- called by one customer the best in the state. But if breakfast isn't your thing, don't worry, they have plenty of items that are not breakfast. They have their signature Cottage Burger and plenty of other sandwiches and burgers if you are in the mood for lunch. And if you are looking for something even heartier, there are steak dinners and a meatloaf that is supposed to be as good as grandma makes. I will let you be the judge but I know that I am interested. Since you can't survive on breakfast food alone, though I am sure some people would beg to differ, there are plenty of restaurants in Cle Elum that serve food perfect for lunch and dinner. One place that is unique to Cle Elum is the Sunset Café and Loose Wolf Saloon. This restaurant serves up plenty of options for anything you might be craving. The fresh salads and soups (and the option for endless soups and salads) are perfect for someone trying to eat lighter. They even have a lighter fare menu for people who don't want to get too full. However, if you are looking to fill yourself up with something heartier there are plenty of options for you. There are steak dinners, traditional cowboy beef stew, and even fish and chips that one Aussie customer claimed they would drive from Bellevue to get. And before you leave make sure to try one of their homemade pies. Now burgers, steaks and American fare aren't your favorite choices for meals don't worry because there are plenty of other options. Like Beau's Pizza and Pasta, located in the historical Schober building. This is a fairly new restaurant that was opened in 2007 with food from scratch and an inviting fireplace which creates a warm environment for all patrons. Beau's is famous for its hand tossed pizza dough and homemade sauces. The largest size they serve is a 14 in. so if you are having a party you may need more than one (but hey the more pizza the better). If you are not a pizza fan (which would be crazy but it happens) there are pastas and salads available, and for those who still crave something heartier there are plenty of steak entrees. And because no meal is complete without dessert, ask your waiter or waitress about their homemade desserts. Finally, what night out would be complete without some after dinner drinks? So, if you are looking to continue your night head over to Keg Cellar Tavern. Fans rave about the cold beer and the laid back atmosphere. And if you haven't eaten yet they have a menu full of tavern food that pairs perfectly with whatever you happen to be drinking for the night. Cle Elum has a spot for everyone, whether you like Mexican, Italian or American cuisine. Take a trip into town for a meal and maybe you will find your new favorite spot to grub.